In my first article on CCS (Cross-Country Skiing) I wrote about the importance of core training. I received more interest than I was expecting so I wanted to get this summer workout out as fast and as simply as possible. Sorry it got a little more complex than I wanted. If you have any specific questions you are more than welcome to write me in Norwegian..på norsk), if you like since, I know most of my readers here are Norwegian CCS. This article became a lot longer than I thought because one of my coach friends reminded me that if a an athlete or parent really believes in this this article will be their only chance to learn it without a lot of research, because the majority of coaches still don’t believe. Unfortunately he is probably right and thus the length. Yes, I know it gives you a head ache to look at all this stuff, There are just illustrations to make the system easier. Everything you need is listed in the drop box link both in english and Norwegian. If you have any question just give me a call 975-61166. Can’t make it any easier. Where does the strength program for the summer fit in the Annual Plan? Since the summer off season is so short we have to pre-plan. Below is an example of a pre-planned summer program. (All this is in the following folder both in English and på norsk.) In theory using this program ,every Cross-country skier in Norway can have a program that is guaranteed to work this summer in 2 weeks. Strength Training for Cross-country Skiers part 1 “The core”. Norwegians are already the best in the world in the aerobic area of cross-country skiing. Just wait until they get as serious about strength training. Strength training is just popping up in Cross-Country skiing in Norway. As it gets more serious, you will see a new generation of skiers arise. Using a TRX, Red rope or any of these rope devices is “Strength Training” don’t fool yourself. Training to failure with any of these type devices is a bad as training to failure every time you go into the weight room. You are still training to exhaustion . Just because these devices don’t look like your standard barbell or dumbbell don’t be fooled, the body still treats their use as progressive resistance just like the BB and DB. Let’s take a deeper look at the Glutes and see if there is anything that may have been missed. 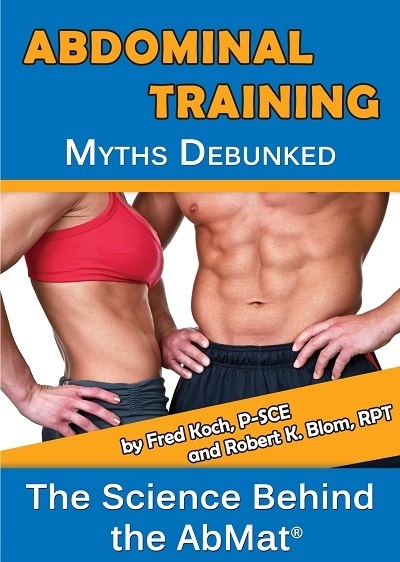 There is so much talk in the media lately on glute training and it is obvious that so much is left out. We sit here in Norway and scratch our heads. It is surprising to see how once instructors, then reader are set in a direction, no one ever stops and asks. Is that really true? This Glute subject is a perfect example. I want to look at this from an entirely different direction. When a biomechanist looks at the subject of a muscle, there are a few questions that come up first. How does a muscle, in this case the glutes, work? Then what is the best exercise to work that muscle? In the case of the glutes, the first stop would be a simple search. This done, right away it seems already we are starting to see something wrong. Take a guess before going further. Here are the official definitions. When the gluteus maximus takes its fixed point from the pelvis, it extends the acetabulofemoral joint and brings the bent thigh into a line with the body. Taking its fixed point from below, it acts upon the pelvis, supporting it and the trunk upon the head of the femur; this is especially obvious in standing on one leg. Its most powerful action is to cause the body to regain the erect position after stopping, by drawing the pelvis backward, being assisted in this action by the biceps femoris (long head), semitendinosus, semimembranosus, and adductor magnus. 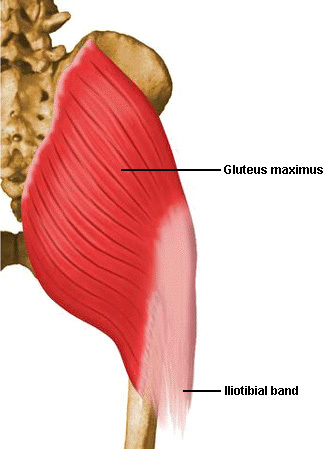 The gluteus maximus is a tensor of the fascia lata, and by its connection with the iliotibial band steadies the femur on the articular surfaces of the tibia during standing, when the extensor muscles are relaxed. What I am already reading here is the glutes extend the hip, well we all know that, but what else ? It rotates the femur (leg bone). Woops, “rotates”. The hamstrings can start the momentum for the glutes if not careful. Well, just by looking at this picture we can see why this could be. Since any person that studies muscles or understands biomechanics knows, a muscle works in a straight line. The glutes are more on a 45-degree angle from the pelvic to the femur. So if the pull, just by observation can you see they could rotate the leg bone. Here in Norway was when I started to question this, during my training of a biathlon skier. That’s a person that cross country skis and in the middle has to stop and shoot a target 150 yards away about an 1 to 4 inches depending on if they are standing or laying down. Then get up and keep doing it. Let take a quick look at the real life application of where I am going. Well, in the north we can’t just take one sport as an example so let’s look at another sport people in the US would know more about, especially when it comes to butts, speed skating. 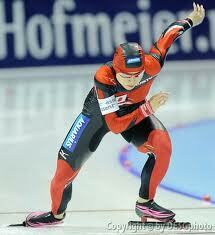 Speed skaters have always been known for their great butts. Glute rotation at it’s best. Again, you see the rotation of the leg by the glutes. The definition of how the glutes works is close. I just have to show you one more thing. One more thing that biomechanical people will tell you is that the closer a muscle is to a joint the more effect it has on that joint. Therefore, this taken into consideration the glutes are a short muscle that is really close to the hip joint. If we consider all this, a more meaningful definition of what the gluteus maximus could be is; “the primary function” of the gluteus maximus is “extension and rotation of the leg the last 30 degrees of extension”. Any movement before that would require the hamstrings to engage, thus building up momentum and getting less glute activation. Sure, they help or have some effect when they are further out, but I am talking about the “main function”. What you will notice first, is making the foot immobile limits the amount of work the glutes can complete. Second, is the range of motion used is the most significant mistake some people make. If you use too much range, the hamstrings will start the movement and as the movement comes to the “primary function” of the glutes, the momentum has taken over. Thus, we have to use another method to perform the work. The leg must be able to extend and rotate during the last 30 degree of extension. As you see, taking into consideration our scientific definition, sometimes simple observation with some basic logic can be used to better figure out how to work a muscle for both fitness and sports. Any exercise that anchors the foot, thus restricting rotation does not allow the glutes to work fully. 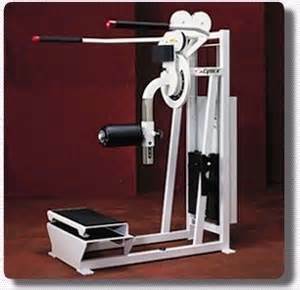 Total hip machine: This is one of the best type machines to use for this exercise. The best machine for glute work. BUT, this video is done by the manufacturer and even they don’t know exactly how to work the muscle. Too many times we think the equipment manufacturers have all the answers. This should just be “food for thought” and show you they don’t have all the answers so be careful. EMG- One last note in case it comes up, EMG, studies. If you read my EMG article you will see that the EMG might tell you there is activity in a muscle but is really “bogus” when we talk about range of motion and muscle activation. In closing you noticed this is part one. The next addition to glute work will really answer even more questions around, what the rotation of weak glutes effects and another cool way to work them. Just as I was finishing this article my friend Amit from Muscle and Motion sent me a note on the release of this video. Knowing how much I love animation I had to include it. Talk about demonstrating a point. Check out more of the great videos by Muscle and motion. I am done with building a new you tube channel . Lots of new videos and hopefully better organized. The playlists are more organized and some are not even on the the front page. If you have any comment or suggestions please feel free. Muscle Coach on You Tube.